Some of you may have heard about the terrible Ottawa transit bus crash that occurred a couple of months ago on January 11, 2019. Three people were killed and 23 were seriously hurt. One of those injured was a USJE member, Marcie Stevens. She is an employee of the Department of Public Safety. As a result of the accident, Marcie has had both her legs amputated and she faces a long recovery with many hurdles ahead. The cost of assistive devices and a specially-fitted vehicle alone will be many, many thousands of dollars. 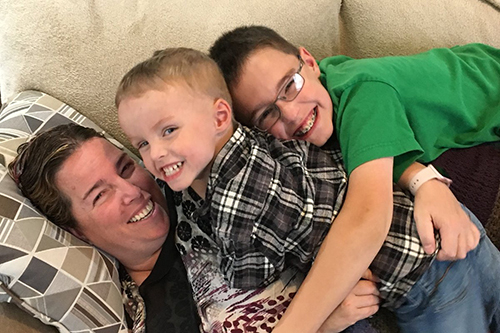 The toll this has taken on Marcie, her husband and two young boys is not something that can adequately be expressed. CTV did a two-part news series on Marcie that aired recently. It is moments like this when we come together as a union to help out one of our own who is going through a difficult time.In fact, the capacity to provide support at these times is part of the reason unions were first created in Canada. USJE has raised and shared funds with the family. There is also a Go Fund Me campaign that has been set up in the Stevens’ name to aid in their healing and recovery, should you wish to help out. Please consider donating.